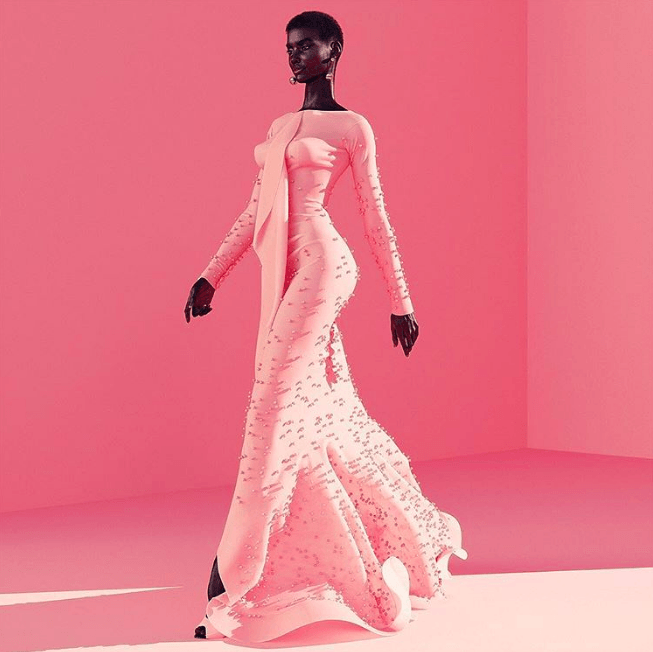 The hype around the use of CGI (Computer Generated Imagery) in fashion started with Louis Vuitton’s Spring/Summer 2016 campaign. The campaign featured a character from the sci-fi video game Final Fantasy, in the brand’s clothing and accessories, and had online, print, and video presence. Audiences raved about the brand’s innovative approach to showcasing designs in a technology-driven society. In the beginning of 2017, however, London-based fashion photographer Cameron-James Wilson seemingly took the digital model concept too far. 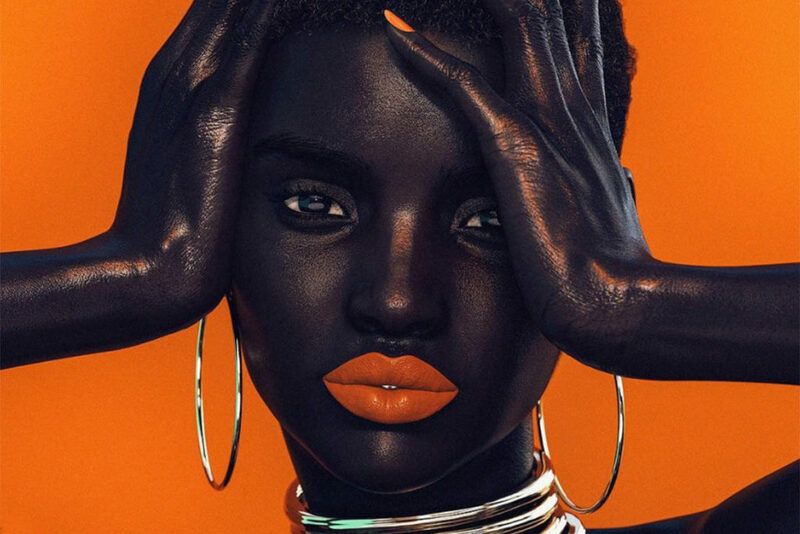 Wilson is the artist behind Shudu, the self-proclaimed “world’s first digital supermodel”. His inspiration for this hyper-realistic avatar was a South African princess barbie doll. In February 2018, Fenty Beauty took to Instagram to repost an image of the “model” wearing their lip shade “Saw-C”. The brand’s managers did not disclose whether they knew Shudu wasn’t real. Shortly after Wilson revealed Shudu wasn’t human, Fenty Beauty were quick to delete the image from their account. Image sourced from Shudu’s Instagram. 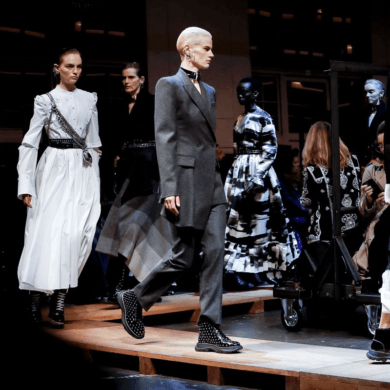 The fashion industry is always fast to embrace society’s latest innovations and interests, ready to reflect the cultural and political atmosphere. Highlighting the work of 3D artists is a sign of the times. Having said that, in an era where models are booked for their look and personality, how does the use of digital models play out? These phrases are a reality I’m facing time and time again, and will continue to face as long as my career goes on. Modeling is an already contradictory space to be in, as body positivity exists around it. Ads tell us to love ourselves just as we are, but the models in those ads were booked through an agency and selected for their body type. Now, digital artists are producing high-cheekboned, slender, editorial-looking men and women. They can edit off an inch in the waist in a matter of minutes. Brands opting for these digital models are inherently complying with the impossible expectations that bodies can change overnight. Objectification will always exist in media, but to what extent? Digital models are posing new, worrisome answers to this question. Shudu in Fenty Beauty’s “Saw-C”. The use of digital models in fashion may take away the humanity of the job. Models are essentially living mannequins, but it is up to us to inject personality into a garment or a beauty look. We portray a lifestyle, be it relatable or exclusive. It is not easy. We have obstacles to overcome, and the subconscious comparison to others is inevitable. Digital models are rendered by their creators, who simply sit behind a screen. Instead of a human crafting his or her own body for their work, another person is crafting an idealized fantasy that no human could ever compete with. A model’s body is their resume. It’s both a business tool and an expression of what they view as beautiful. Achieving and maintaining a certain body type makes a model feel proud. Seeing published images of yourself, or feeling the adrenaline rush of walking down the runway, is a gratifying reward for all of that hard work. Clothing was made to cover or accentuate the human form. The job of modelling them should be done by humans, not a cluster of pixels.